Typical of kingfishers: large bird with heavy beak. Wings are a distinctive metallic blue color. Males have a blue tail while females have rust colored tails. Both sexes have pale eyes. Kookaburras are iconic birds of the ‘land down under’. 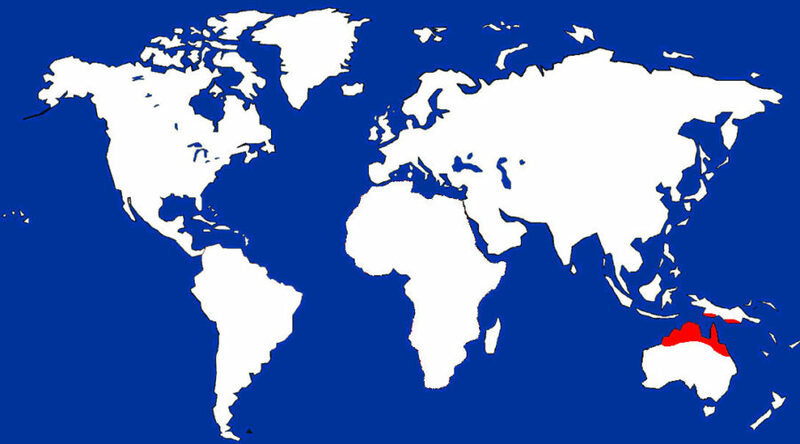 Australia is home to two species of kookaburra, the Laughing Kookaburra and the Blue-winged Kookaburra. Both are fairly common birds, but the Laughing Kookaburra is better known because of its laughing ‘kakakakakaka’ call. The call of the Blue-winged Kookaburra is not as melodious-instead it uses a distinctive cackling or braying sound to make its presence known. Blue-winged Kookaburras are known as cooperative breeders. In the wild, a breeding pair has the help of previous offspring to raise young-at least until the offspring find mates of their own. Nests are made in hollow trees and sometimes termite mounds. Kookaburra chicks, known as ‘kooklets’, are VERY aggressive with the oldest chick killing its younger siblings. 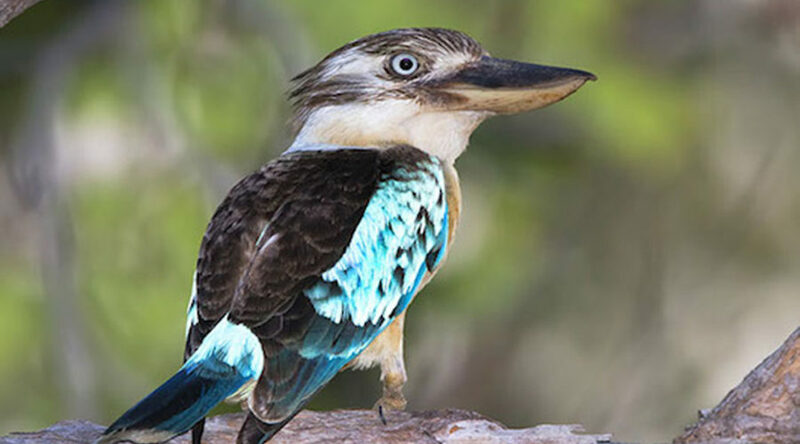 Blue-winged Kookaburras are often seen perching ahead of brush fires snatching up prey frantic to escape the blaze.